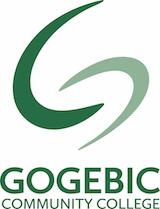 Gogebic Community College seeks candidates for a full-time Director of Online Learning and Accessibility at our Ironwood, Michigan campus. Director of Online Learning and Accessibility provides long-term and day to-day management of the College's online courses and programs, Learning Management System (LMS) support for all faculty and students, and professional development support to all online Faculty and Adjunct Faculty. Additionally, the Director is responsible for all online, website, and multimedia accessibility. The Director reports to the Dean of Instruction and works collaboratively with the Dean of Student Services, Marketing, and Information Technology services. The Director is responsible for ensuring that the quality of the online courses at Gogebic Community College is strong and is consistent with the rigor and scope of face-to-face offerings. The Director is responsible for ensuring that all accreditation and regulatory requirements for online learning are met with emphasis on certifying that all online instructional material and marketing material are accessible. Assists faculty and related administrators to implement effective pedagogies, technologies, and methodologies in respective programs to promote student engagement and success. Provide strategic direction for online learning commensurate with industry best practices. Maintain LMS, website, and all other electronic communication mediums to be in compliance with Section 504 of the Rehabilitation Act of 1973. Designs, develops, and delivers on-line training to faculty and staff in the use of instructional technologies and educational best practices, instructional resources, instructional technologies, and multimedia hardware/software to support teaching and learning. Responsible for ensuring online quality and rigor that is consistent to face-to-face offerings. 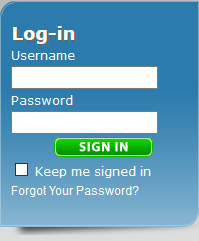 Ensures the smooth operation of services for online students. Master’s degree in the field of online learning, instructional design or related field from a U.S. Department of Education regionally accredited college or university. Experience in instructional design and working with online content. Applications will be accepted until May 7, 2019.